If you love meat and are bored of regular butter chicken, try having it the Middle-Eastern style. 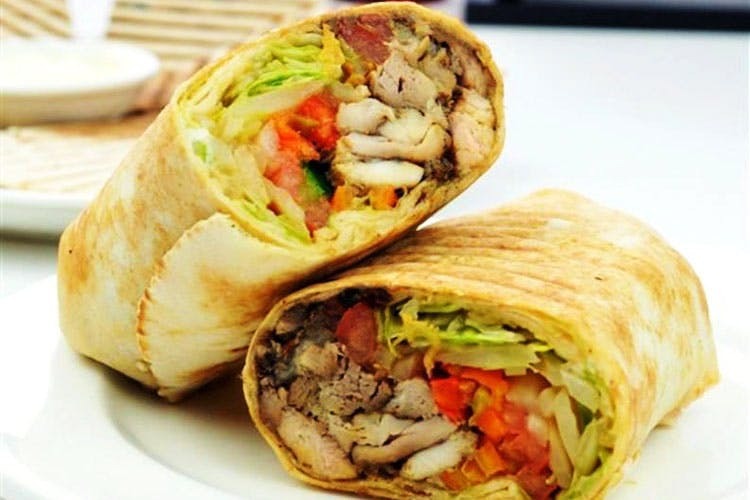 Here are places where you can find shawarma that is made just the way it’s meant to be! Whether you like it with hummus or with a Mexican touch to it, you will find Shawarma, just the way you want it, here. Better still you not only get delicious food but also generous and courteous staff to greet you. All this and the starting price remains to be just INR 80. If you are out with friends, try their mega shawarma meal which is sufficient enough for two. If you can’t control your temptation to have meat but your wallet is almost empty, Hotel Sahil is where you should head to. One shawarma roll from here, costing INR 80, is quite filling and also satisfying. Better still you can have the delicious shawarma for breakfast because the place opens as early as 7 am! We present to you- Marrakesh, with branches all across Pune, serving one of the most mouth-watering shawarma and hummus pita in town for your meat cravings. Once there, you can always try out their customer recommended Dajaj shawarma at INR 95. And if you feel like having some more, they have a range of vegetarian and non-vegetarian Mediterranean and Mughlai dishes to choose from. If you thought Hotel Sahil was cheap, well this is cheaper. Customers say that it justifies its name for being the king of shawarmas. Well, we like it because it has something for everyone. If you like your shawarma plain, with egg, with cheese or with both, you need to go here. Their vegetarian Brota shawarma costs just INR 40 and the non-vegetarian one comes at INR 70.